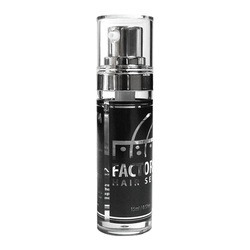 Factor G6 is a powerful growth factor powder containing 6 different types of growth factors. When mixed with saline, it is applied directly onto the scalp after micro needing to improve the appearance of thin hair and hair loss. It drastically improves circulation to the scalp, increases nutrients to areas of need, and restores the appearance of hair colour. All of these components make up an effective hair loss prevention strategy. For more information, please contact Avention Global or consult with your physician for more details.